The Tiny Home Movement is a social movement encouraging people to simplify and downsize the space they live in. More and more people are embracing the tiny life philosophy, and the freedom that comes with living tiny. The typical American home is around 2,600 square feet compared to the typical tiny home that by definition must be under 400 square feet. Just like a regular-sized home, tiny homes come in all shapes, sizes, and styles. The key in building a tiny home, is the design and clever utilization of space. Many tiny homes use foldable chairs and tables, others use loft areas above the kitchen to provide privacy in common areas. So, why go tiny? A smaller house means less space for stuff, less waste and the financial freedom that comes with living mortgage free. An article by CBS news states that “More than 26 percent of working-class Americans who rent apartments spend over 50 percent of their income on housing in 2011, up from just 22.8 percent in 2008”. This means that for most Americans ½ of their income goes to housing. 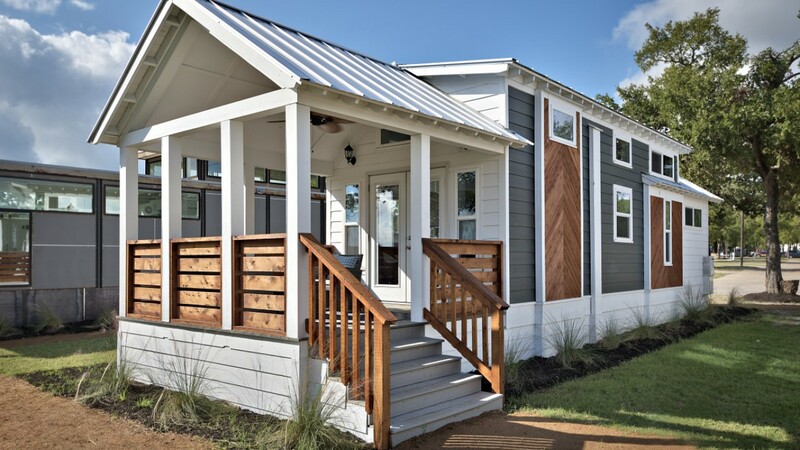 With tiny homes ranging from 60k to 120k, going tiny is an affordable option for those that are looking to buy a home and are willing to downsize their lifestyle. Tiny homes are all about reducing your environmental footprint and living simply. They use less space, less resources and cost less. They also make you rethink your relationship with materialistic stuff and are easier to clean and fix. Their designs are perfect for those that are longing for an eco-friendly lifestyle while keeping the price, well, tiny.